Ashford, Middlesex, TW15 1JL, U.K. The stunning performance you�d expect from a track-day car with a power to weight ratio in excess of 325bhp per tonne. This performance is derived not through adding more and more power but rather by �building in lightness�. The Caterham FireBlade exploits the benefits of Honda�s lightweight, high-power FireBlade engine together with a special version of Caterham�s classic Seven chassis to create a car with tremendous handling but packaged into a highly cost effective vehicle. The Caterham FireBlade is no longer in production. These Caterham FireBlade Archive pages are from the CaterhamFireBlade.com web site and are here for historical record only. The chassis is based on the reliable and proven technology of the live axle Seven, but with 16 detail differences, including the latest dedion type anti-dive rose-jointed front suspension geometry. Combining this with an engine that produces over 130bhp, weighs a mere 66.5kg and drives the rear wheels through an integral 6 speed sequential gearbox makes for an exciting drive. The Caterham FireBlade is aimed mainly at the track-day enthusiast and is most at home lapping the circuits of the U.K. and Europe, but it�s by no means designed exclusively for the circuit. 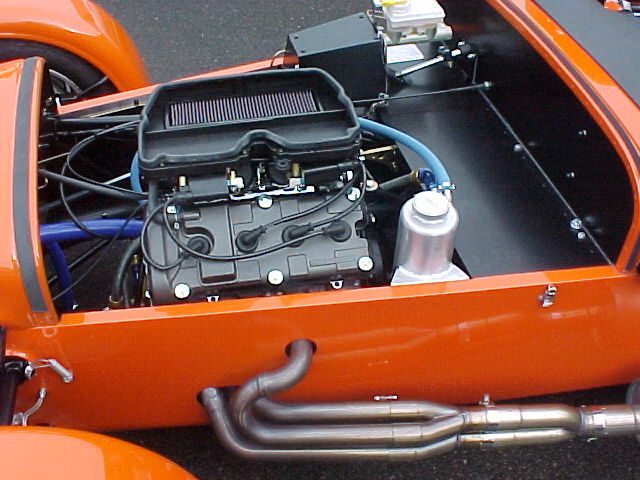 The car can be specified in road legal trim and customers wishing to broaden its appeal can fit the usual options such as full screen, weather equipment and heater. �Like most Seven owners I have, over the years, gone for bigger engines, bigger tyres, more and more of everything. 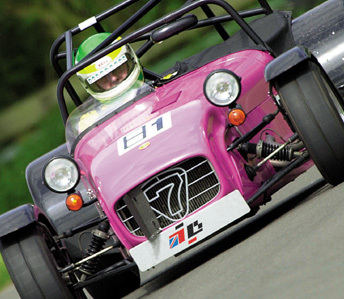 So when I drove a Caterham-FireBlade for the first time I was astonished at how much it felt like my Lotus 7 did when I�d first bought it back in 1971. The Caterham-FireBlade is light, dainty, positive, wickedly responsive and the turn-in��.amazing. The only embarrassment is having to accelerate into bends to compensate for the tendency to brake too hard, too early�. The Caterham FireBlade came about when Paul Harvey - who�s had a long association with Caterham � produced the first prototype, it was such a big hit with everyone who drove it that Caterham gave the go ahead to start production. To look after the sales and service of this unique model, Caterham have teamed up with James Whiting Sevens, who will be responsible for this exciting project. 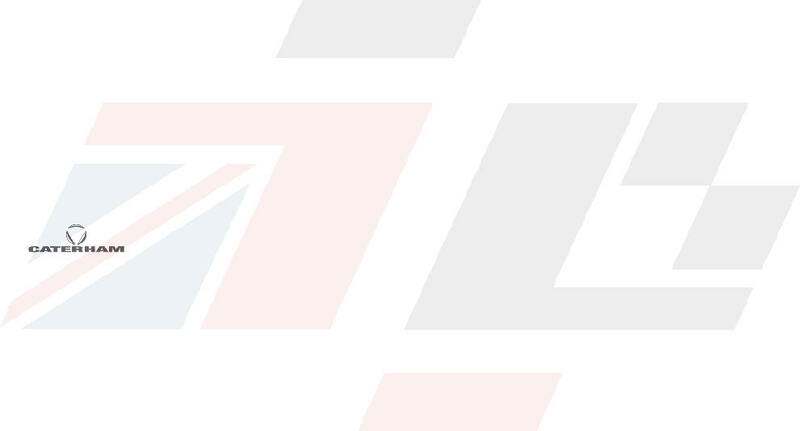 James has been an independent Seven specialist since the 70�s and has a wealth of knowledge. 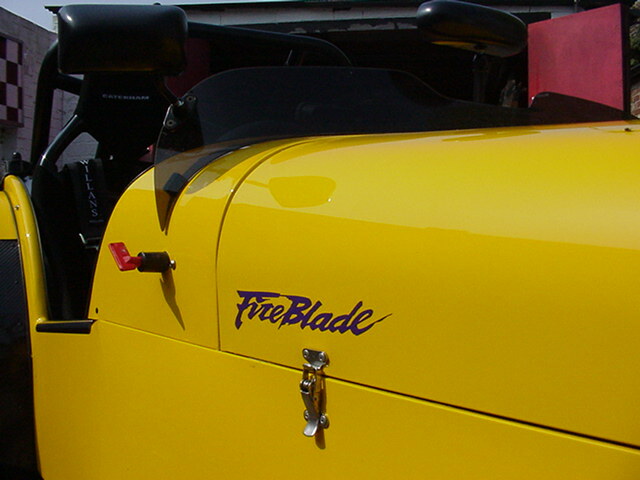 The Caterham FireBlade comes with many unique features as standard, plus there is an extensive options list to chose from. Should you require any assistance with specification of a Caterham FireBlade or require guidance with purchasing and perhaps building of your car then James and his team are there to help you. Contact details are at the bottom of this page.